2. VISIT OUR CAMPUS: View driving directions, parking instructions, and a campus map for Duke’s Fuqua School of Business. Our address for your GPS is 100 Fuqua Drive, in Durham, NC. They are our CASE i3 student co-chairs, and are great resources on all things CASE i3. 5. 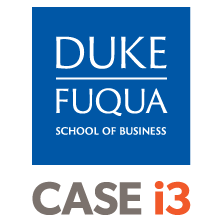 FOLLOW US ON TWITTER: Follow @cathyhc, @carriegonnella, @CASEatDuke and @CASESmartimpact for regular updates. 6. JOIN OUR RESEARCH GROUP ON LINKED IN. Over 520 members, academic and professionals alike, share research updates and questions on all things impact investing through The CASE Impact Investing Research Group on Linked In. 8. FOLLOW OUR PARTNERS ON TWITTER: Follow our CASE i3 Network list for a great, diverse impact investing feed. 9. SUBSCRIBE TO OUR (MORE OR LESS) WEEKLY NEWSLETTER: Click to subscribe by email to On Impact, our impact digest. Get the latest news in impact investing direct to your box every week or so! 10. SUBSCRIBE TO OUR CASE NEWSLETTERS: Click to subscribe to the CASE newsletters, which are customized across our key programs, on a no more than monthly basis.